Let’s Spread the Sparkle — Buy 2 get 1 Free! With the holiday season quickly approaching, many of us enjoy searching for the perfect and thoughtful gift for everyone on our list. It’s a nice feeling to see our loved ones smile, and it just feels good to know it was because of a little treat we found for them along the way. If you’re anything like me — and I love to shop — you think to yourself, “wow, I would love to buy one for myself too” but more often than not, you feel a bit guilty about treating yourself, thinking ’tis the time to give, not to play “one for you, one for me”. 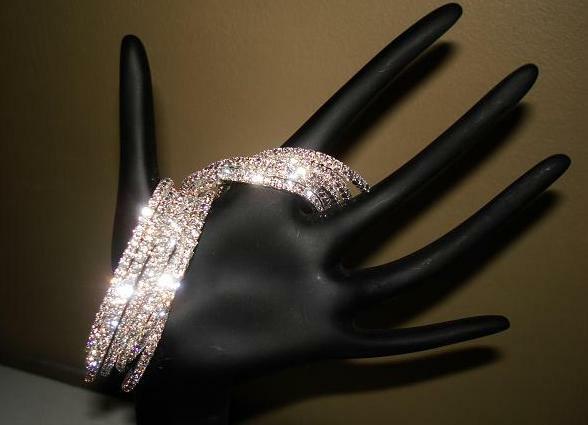 We at Sparkle Plenty Designs is here to help make your holiday gift gifting easier, while adding sparkle to your life! We’ve decided to extend our buy 2 get 1 FREE summer sale on all of our stunning Swarovski tennis and emerald crystal stretch bracelets! All you have to do is visit our jewelry page add the styles and colors you wish to purchase to your cart, then simply let us know the color(s) you’d like for free in the comments section during checkout. There’s no limit, so if you want to buy 10, you can treat yourself to 5 free! They do look great stacked! 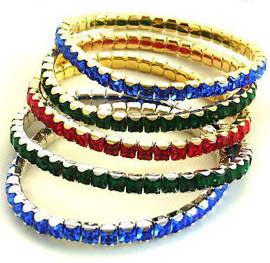 Let our gorgeous Swarovski bracelets BLING your holidays to life! Please visit our jewelry page here and enjoy the season! This entry was posted in add bling, crystal bracelets, Crystallized, genuine swarovski, gifts for girls, gifts for moms, gifts for women, swarovski bracelets, Swarovski Crystal, swarovski crystal bracelets, Uncategorized. Bookmark the permalink.